Armação dos Búzios is synonymous with elegance, tranquility and well-being. Known as the most charming balneary in the country, the city is located in the interior of the State of Rio de Janeiro, and is the 5th most popular destination for foreign tourists from around the world. Brazilian “Saint Tropez” offer a lot of inspirations through their sculpture and history monument recognized internationally as: Brigitte Bardot, three fishermen and Juscelino Kubitschek. Considered one of the most beautiful coastlines in Brazil, Búzios has more than 17 beaches for all styles and preferences. Stage of various events, the beaches of the city are an perfect attractive for your visitors. Main street of the city ando ne of the most known in the region, the Rua das Pedras is composed of a trade consisting of: designer shops, restaurants, bars, local craft stalls and much more. Destination required for who is in the city. Unforgettable natural beauty, Búzios offers several activities for all public. 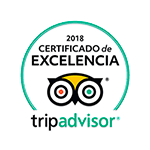 From those who wish to experience good gastronomy even for the more adventurous who wish to practice water activities, to do trails, to explore historical and cultural points, etc. Porto da Barra translates its style with fashion, gastronomy, decoration, sport and art, in 14 thousand m² of area framed by the native green and the seaside. Ideal for a family lunch or romantic dinner.